It is no wonder this succulent, flavorful fish is referred to as the chicken of the sea. Tuna's versatility is prized in kitchens worldwide. It is no wonder this succulent, flavorful fish is referred to as the chicken of the sea. 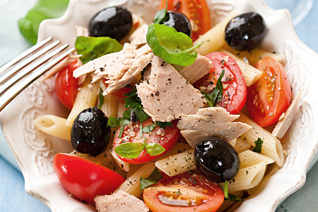 Tuna's versatility is prized in kitchens worldwide. Our selection of tuna includes Skip Jack, Yellowfin, Tongol and Albacore caught in the Western and Indian oceans.